The health benefits of turmeric are tremendous. Turmeric is an anti-inflammatory, anti-viral, anti-bacterial, anti-fungal, anti-carcinogenic, and anti-oxidant. The most powerful ingredient in turmeric is curcumin. Inflammation inside of the brain has been suspected to be one of the contributing factors in the development of Alzheimer’s disease. Studies have shown that Turmeric has anti-inflammatory and anti-oxidant activity. Therefore, regular daily consumption of Turmeric capsules may be an effective way to prevent the onset of Alzheimer’s. Potent natural anti-inflammatory that works as well as many anti-inflammatory drugs but without the side effects. For arthritis pain, take 500-1000mg Turmeric capsules three times per day may provide significant relief from osteoarthritis pain. 10. Has shown promise in slowing the progression of multiple sclerosis in mice. Add one teaspoon of turmeric powder into a warm glass of milk and drink it before going to bed to prevent internal inflammation and infections. This mixture helps with asthma. Effects on cancer have shown promising results. Several recent studies have found that Turmeric can induce apoptosis, a process that triggers the self-destruction and elimination of damaged (cancerous) cells. 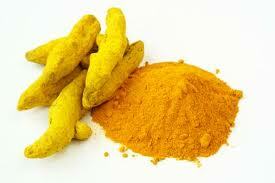 Further research is still required before the full effects of Turmeric on cancer cells can be determined. However, existing studies suggest that daily Turmeric powder or supplements combined with a balanced, nutritious diet may help prevent or even destroy cancer cells. Fights colds and flu. Turmeric’s anti-bacterial, anti-viral, and anti-fungal agents can help our body fight against colds, cough and flu. When symptoms of these infections are present, mix one teaspoon of Turmeric powder into a glass of warm milk once per day. Also drink plenty of water throughout the day. Prevent diabetes. Recent studies have shown that the antioxidant agents in Turmeric help reduce insulin resistance, which may prevent the onset of Type-2 Diabetes. A simple preventive remedy is to take one teaspoon of turmeric powder twice a day with meals. Natural painkiller and cox-2 inhibitor. This is good news for people with Rheumatoid Arthritis, Lupus, Fibromyalgia, Polymositis, and many other autoimmune and inflammatory issues. Treatment of psoriasis and other inflammatory skin conditions. Stops the growth of new blood vessels in tumors. Heat one cup of Flax Seed Oil in a small saucepan on the stove. Thinly slice a small onion and add it to the hot oil. Fry the onions until they are dark brown and crunchy. Remove the brown onions and mix 2 tablespoons of Turmeric powder into the oil. Turn off the stove and let the oil cool down to a temperature that is comfortable to touch. Using a cotton swab, apply a small amount of the oil onto the injured or infected skin area. Apply this three times per day until the wound or infection is cured. Save the remaining oil into an airtight container for future use. * Turmeric should not be used by people with gallstones or bile obstruction.